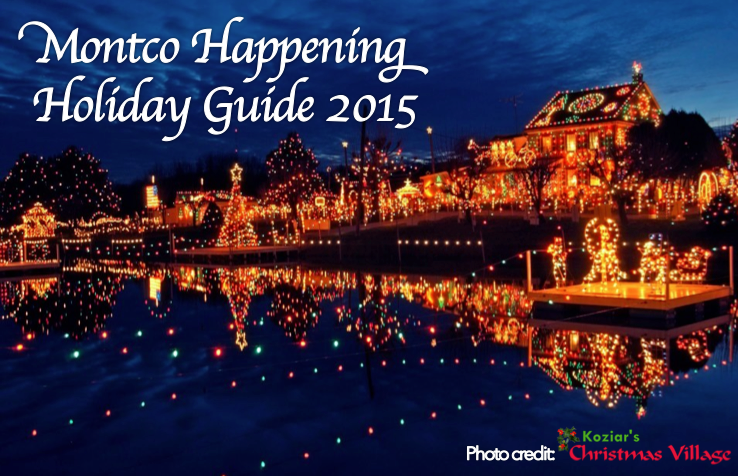 Montgomery County's Holiday Gift Guide 2015!!! Don’t let your employees go hungry and lose energy! Treat them to great food from Tony Roni’s. Receive 10% off all Black Friday weekend orders $50 or more that are placed on or before Wednesday 11/25/15. Just mention this offer when ordering! This offer is valid for Friday 11/27, Saturday 11/28 and Sunday 11/29 if placed on or before Wednesday 11/25. Visit their website www.tonyronis.com for phone numbers and to view our full menu. Choose from wrap/hoagie/panini trays, stromboli, catering salads, tomato pie, pizza & more! Catering is also perfect for your holiday parties and office luncheons! Are you looking for the perfect gift for your best customers, closest friends, or family member who have it all? The Bread Box and Bakery has gift boxes for all budgets, and they’re Bucks County’s ONLY community supported bakery offering bread shares; a CSB (“community supported bakery”) membership is the delicious gift that keeps giving all year long! Plus, spoil your favorite foodies with a Down to Earth Cafè gift certificate or local specialty goods. Look Radiant and Fabulous For The Holidays At Healthy Solutions by Dr. Luciano Weight Loss & Aesthetic Medicine! Whether you want to lose weight, smooth out your wrinkles, achieve a more youthful appearance or look better in that suit or dress, their team is here to help. Receive $25 Off Your Latisse purchase by mentioning The Happenings List. One of the most complete and professional painting services you will ever find in Montgomery County. Dan Collins is a full service, fully insured painting company located in Oreland specializing in all phases of interior and exterior painting for residential, commercial and industrial projects. Dan’s family owned and operated business has been serving the Greater Montgomery County and Philadelphia, PA regions since 1985! Most recently, Dan’s small company one Happening List Awards for Best Painter in Montco 4 years in a row! With the results of the Happening List Contest coming directly from our residents, you can rest assure that Dan’s work speaks through his hundreds of satisfied customers. With the holiday season just around the corner, Dan Collins is the man to talk to when it comes to sprucing up your home for friends and loved ones. Whether it’s freshening up your interior walls or power washing a worn and weathered exterior, Dan Collins Painting will have your house looking better than ever this holiday season. To see some of Dan’s work, follow on FB at Dan Collins Painting. He’s one of the best in the biz!!! Contact Dan and his team at (215) 836-5787 to schedule a free estimate, to book a job, or to inquire further about our services. Click here to visit their website for more information. Access the amazing holiday specials from 35 boutiques, restaurants, and services at The Shops at Valley Square! Follow them on Facebook for all of the latest. Lansdale’s Timeless Styles Boutique will start their Holiday Season on November 28th (Small Business Saturday)! Timeless Styles focuses on contemporary clothing that is both fashionable, affordable, and timeless in style. They have a large selection of accessories that make for great gift ideas for you, your family and your loved ones. From purses to scarves, jewelry, hair ornaments, belts and so much more. Stay up to date with all their latest events and announcements on FB at, Timeless Styles Boutique. The annual Lighting of the Christmas Tree is happening in Montco’s most beloved small town on Friday, November 27th! The streets of Skippack will be filled with holiday cheer as the village and local community prepare to host a fun filled night featuring the big guy in the red suit, carolers, the annual tree lighting and so much more. Come celebrate with your family and enjoy the small town charm that only Skippack can provide! Come start the holiday season off right with Conshohocken’s Annual Tree Lighting! Starting at 5pm, there will be a DJ, hot chocolate, cider, treats, snacks, and chili from Lenny’s Deli. This years event is sponsored by Conshy AMBUCS, in association with the Mayor’s Special Events Committee. Mayor Bob Frost will have trivia and prizes for the kids around 6pm, followed by the arrival of Santa Claus at 6:30pm, escorted into town by Conshohocken’s very own Fire Companies! Show your support and join the group on Facebook at, Conshohocken Christmas Tree Lighting. The annual festivities will begin at 6:00pm in Railroad Plaza. The streets will be filled with holiday music performed by the North Penn High School Chorus along with free refreshments being served courtesy of Clemens Food Group and Balford Farms. Jolly old St. Nick will arrive at 6:30pm to lead the Christmas tree lighting countdown. This year, after the tree lighting, guests are encouraged and welcome to visit with Santa in the “Santa House”, or head over to the Lansdale Library to take in “How the Grinch Stole Christmas” movie! S’mores, bonfires, snacks and crafts….just a few of the holiday happenings you and your family can expect to find at Limerick Township’s Holiday Celebration. The festivities will run from 6;30pm-8:30pm with Santa arriving at 6:30pm sharp. Free photos with the big guy are available thanks to Penn Liberty Bank. Any new & unwrapped toys are being accepted as donations for Toys for Tots!!! The streets of downtown Ambler will once again be host to a parade fit for the Holiday Season! Hundreds of cars, fire trucks, medical personnel and police officers will stroll down Butler Pike followed by a long line of vintage cars, community members, high school marching bands, floats and of course, Mr. & Mrs. Claus! Bring the kids, pets and family out for a day dedicated towards getting in the holiday spirit! *Butler Avenue will be shut down at 9:30am. Parade participants should assemble at Upper Dublin Lutheran Church at 10am to line up along the parade route. The Ambler Symphony returns to the stage of the Ambler Theater for a night of festive holiday music. The Ambler Symphony concert begins at 6:30pm. The program will start with a selection of holiday favorites, such as the suite from The Nutcracker and Leroy Anderson’s Christmas Festival. The concert concludes with a sing-along of classic carols. Following the concert, at approximately 8:00, we will screen the holiday classic WHITE CHRISTMAS. Tickets are $10 and include admission to both the concert and screening. Welcome Santa by train! After, take a walk to the new Borough Hall to sit on Santa’s lap and tell him what’s on your list! Join the Fun! This is an Ambler tradition. 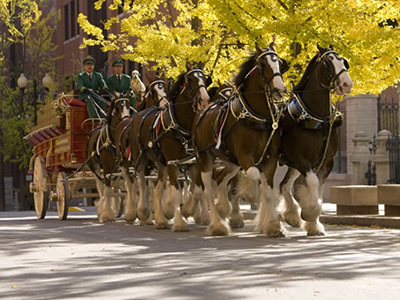 At 2:00 PM the horses arrive to deliver cheer to downtown Ambler (weather permitting). Then stay and dine and shop until… Ambler’s First Annual Tree Lighting! If you are interested in helping make Souderton & Telford towns the home for happy holiday memories please consider volunteering for one of their upcoming events. Their greatest need is for the Holiday Parade. With over 1,400 participants including over 130 vehicles registered each year, there is alot of behind the scenes work needed to help bring it all together. The more people they have to organize the participants at the lineup locations the smoother the parade will run! This years theme, “Top 100 Reasons We Love Our Towns”. Please click here to fill out the volunteer form, or follow on FB for more information at, Souderton Telford Main Streets. Bring your family, friends and neighbors to kick off the holiday season with East Norriton Township’s Annual Holiday Parade! The parade begins at the Middle School and ends at Hillcrest Plaza in East Norriton. Upper Perk is in the Holiday Spirit, and they can’t wait to share it with the rest of our Montgomery County residents! As one of the most unique holiday celebrations in our county, Upper Perk’s unique Christmas parade boasts the largest animal attendance in Pennsylvania, yes, we said animal attendance! The parade will include horses, llamas, and sled dogs just to name a few. The animals will start at the Red Hill Fire Company at 1pm and make their way through Main Street, Red Hill, Pennsburg and East Greenville boroughs. Santa will be the anchor of the parade before arriving at Santa Land, aka St. Mark’s Church! Children are welcome to visit with Santa and participate in a variety of holiday happenings! It’s a long train ride from the North Pole to Montgomery County, so the local Ambler community would like to invite our residents to welcome Santa when he arrives by train! The fun filled activity is great for kids, and after they meet the jolly red giant, they can take a walk to the new Borough Hall to sit on Santa’s lap and announce your gift list! Includes Santa arriving to hear wishes on an Ardmore firetruck, with a festive holiday tree lighting, cocoa, carols, and holiday cheer for all! November 27th also kicks off Ardmore’s amazing “Win the Window” contest! This year, the local community will feature more chances for you to win amazing prizes from Ardmore businesses featured in the Ardmore Initiative window, located at 56 E. Lancaster Ave. How does every Friday between Thanksgiving and Christmas sound?! They will announce their first winner at the Holiday Celebration event! Follow the group event on Facebook at, Ardmore Holiday Celebration! The ABA will also be presenting a donation to the Merion Fire Co. of Ardmore as a THANK YOU for all of their hard work and dedication to our community. It’s going to be a wonderful night! Mall Madness is almost here! The final weekend of November will start the beginning of Black Friday deals, steals and sales at the King of Prussia Mall. Our regions largest, and most impressive shopping destination is open from 6pm-1am on November 26th. The following day, before sunrise, KOP stores will welcome visitors beginning at 6am until 10pm. Whether you’re a late night owl or an early riser, you’ll still be able to take advantage of all the great sales happening at the end of the month! Philadelphia Premium Outlets will also be in attendance to host an “around the clock holiday extravaganza” from 6pm on November 26th to 10pm on November 27th. Tours of the Pennypacker mansion during the holidays are a reflection of Christmases past when shimmering glass ornaments dangled from tree branches and shiny ribbon was woven through mantle greens and around windows. All ages are welcome to attend, appreciate and enjoy Holiday Tours at Pennypacker Mills. Groups of ten or more should contact the site for a group tour. For those of you out there that have never heard of Zern’s Farmer’s Market, we need to inform you that the name may be a bit misleading. True you can find local fresh produce at Zern’s similar to any typical farmer’s market, but Zern’s goes above and beyond the “farmer’s market” designation to offer visitors an enormous selection of great gift ideas for the upcoming holidays! If you are looking for an interesting family outing, we definitely recommend visiting Zern’s. The market is located in Gilbertsville, PA (Montgomery County) and is situated on PA Route 73 close to PA Route 100 (Philadelphia Avenue near Bartman Avenue). When they say they have everything, they really mean it! As advertised, the following are just some of what you can find at Zern’s: funnel cake, corn relish, shoofly pie, chow-chow, homemade ice cream, fresh produce, baked goods, meats, seafood, poultry, plants, yard sculptures, new and vintage clothing, coins, stamps, toys, spices, hardware, new and used books, violins and flutes, beautiful junk, hidden treasures, memories and maybe a forgotten piece of the past. The list is never ending, providing our residents a great opportunity to get a large amount of gifts at a great price, and all under one roof! Click here to learn more about Zern’s Farmers Market. This holiday guide is very good! Just wish I had received it sooner! Lots to do and see – some really great ideas!